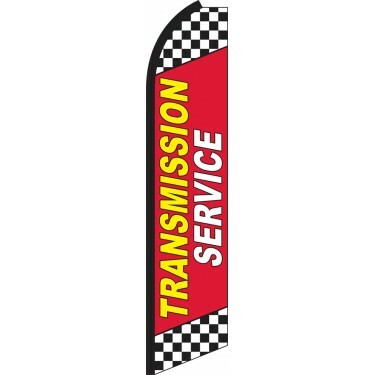 Our Transmission Service Swooper Feather Flag features the words "Transmission Service," emblazoned upon a red background in large yellow letters. This is sandwiched between two black and white checkered patterns at the top and bottom of the flag. 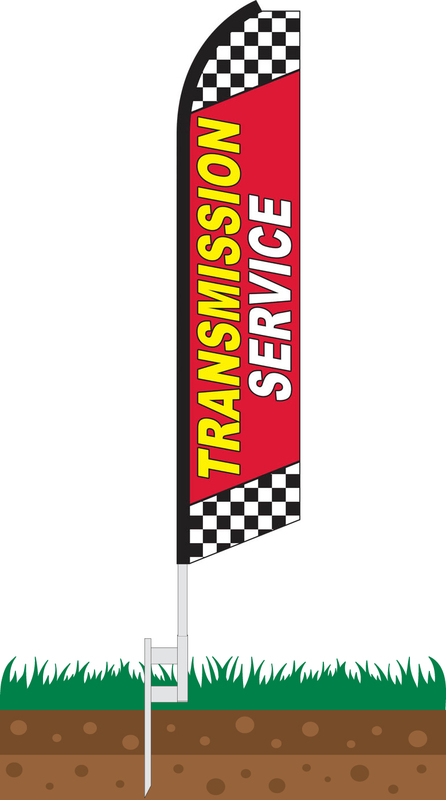 This flag is ideal for service stations, mechanics, and auto-repair services seeking to advertise transmission services to potential customers. The flag can be displayed in an array of different locations including directly in front of the service station, along the roadside, at trade shows, and much more. The dynamic checkered motif of the flag ties into the automotive theme and creates a striking design. If you offer transmission services, this is the perfect flag for you.